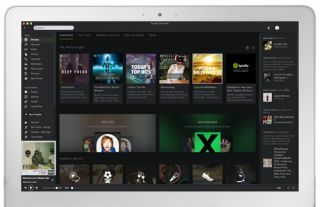 Spotify hits 2.5 million paying subscribers | What Hi-Fi? The streaming service announced the news with a post on the company's blog. Spotify announced in March 2011 that it had one million paying subscribers in Europe, so clearly there's been solid growth in the last 8 months. The service launched in the US in July and has subsequently integrated with Facebook, bringing new users. The company is also set to announce 'a new direction' at a press conference on November 30th, which was again mentioned in the brief statement. "We’ll continue to focus on providing you with the best music service possible. We’ve got some exciting developments in the works, which we’ll share with you very soon."